The boards of directors of the Metropolitan Water District of Southern California and the Sanitation Districts of Los Angeles County have approved a partnership to develop a 1-million-gallon-per-day demonstration water recycling plant that could be the first step to the future development of the nation's largest recycled water supply program. 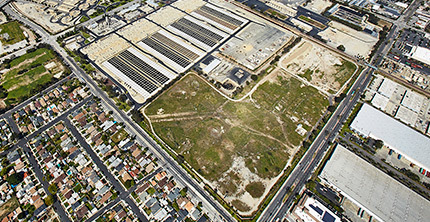 Under the partnership, Metropolitan could ultimately build a new purification plant to produce up to 168,000 acre-feet of water a year at the Sanitation Districts' Joint Water Pollution Control Plant in Carson along with distribution pipelines to replenish groundwater basins in Los Angeles and Orange counties. Read the press release and fact sheet. Listen to General Manager Jeffrey Kightlinger discuss the proposed water recycling program as well as how it fits into Metropolitan's Water Tomorrow Integrated Water Resources Plan. 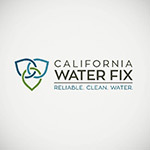 Chairman Randy Record and General Manager Jeffrey Kightlinger issued their statements on the end of the public comment period for the recirculated draft environmental documents for the Bay Delta Conservation Plan/California WaterFix process. Read the statement and Metropolitan's comment letter. 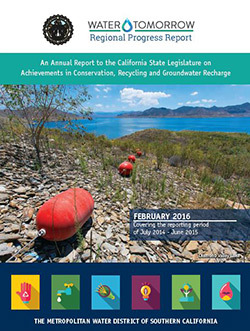 On Dec. 7, Metropolitan invites the public to participate in a public hearing on Metropolitan's annual progress report to the state Legislature on achievements in water conservation, recycling and groundwater recharge (SB60). The hearing is scheduled at 10 a.m. before Metropolitan’s Water Planning and Stewardship Committee. The meeting will be held at Metropolitan’s headquarters building, 700 N. Alameda St. in downtown Los Angeles, room 2-456. Also on Dec. 7, Metropolitan’s Integrated Resources Planning Committee will consider the draft 2015 Technical Update for the Integrated Water Resources Plan. The update is the culmination of months of analysis and discussion among water agencies, the general public and other stakeholders with an interest in Southern California’s water future. Please stay involved. 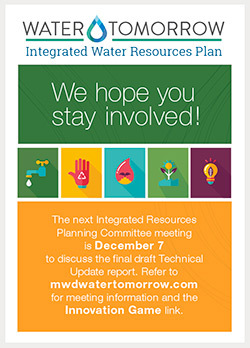 Draft documents will be posted on mwdWaterTomorrow.com prior to the meeting. View the new bilingual brochures as well as other conservation brochures. The Public Relations Society of America - Los Angeles chapter - honoring the best in L.A. public relations selected Metropolitan's public outreach campaign as the winner of its 2015 PRism award for PR Team of the Year. The campaign, done in conjunction with the Quigley-Simpson advertising firm, called on Southern Californians to work together to "Take a Turn" at saving water. Key features included multimedia, multilingual and multicultural advertising on television, radio, billboards, transit shelters, the Internet and social media. The English ads were translated into Spanish, Chinese, Korean and Vietnamese. Using social media and an aggressive online strategy, Metropolitan reached digitally-savvy millennials and culturally diverse audiences with unique approaches including streaming music channels on Pandora and Spanish-language Uforia, featuring water-themed songs timed for short showers and a #wateryoudoing social media campaign with leading environmental organizations. 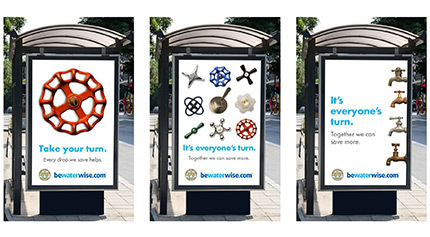 Metropolitan is on Instagram, Facebook, Twitter (@mwdh2o and @bewaterwiseh2o) and YouTube. Follow us on all these platforms for information on all things water and conservation-related.